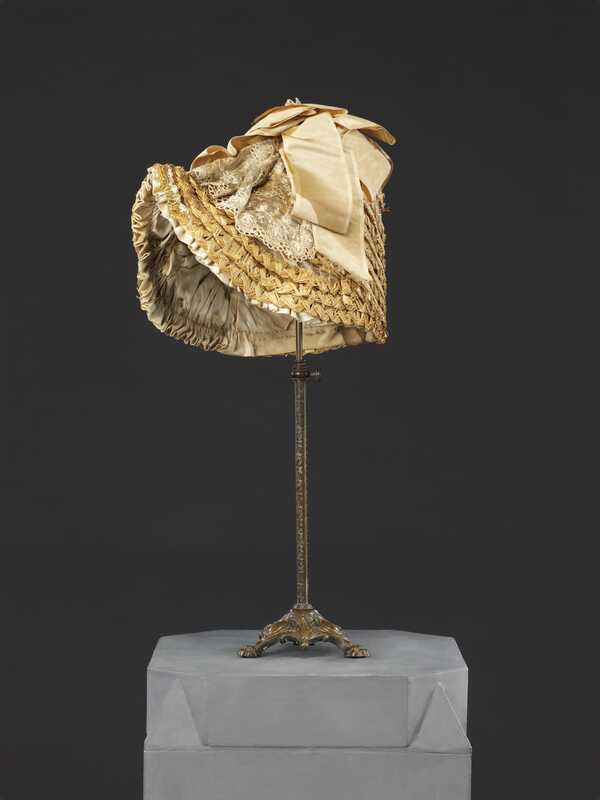 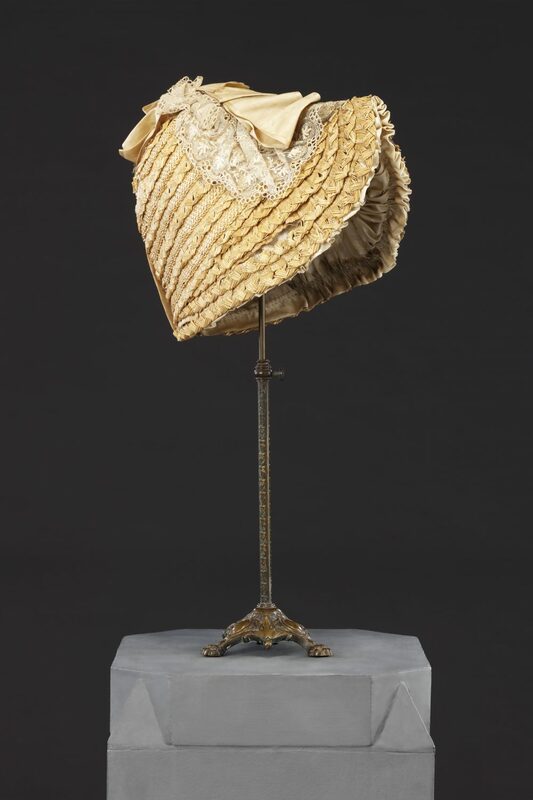 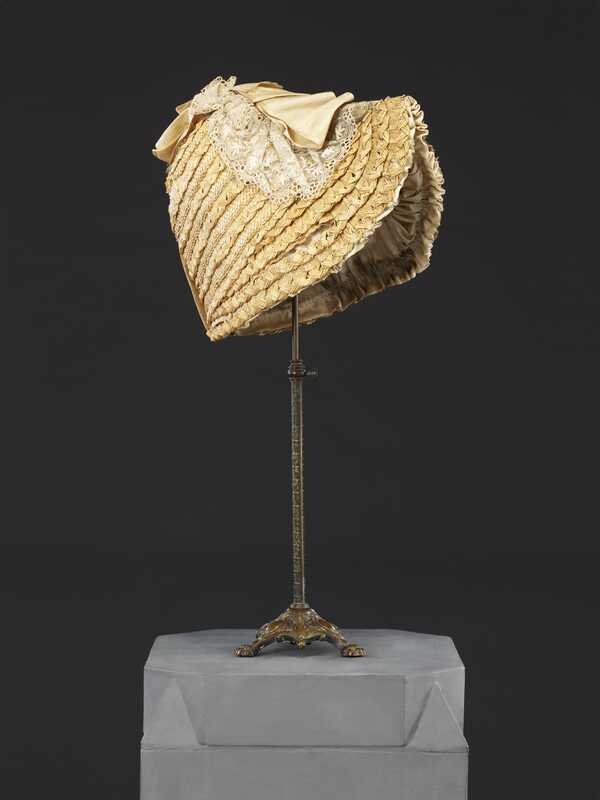 This hat, of around 1883, is of a style sometimes referred to as a ‘gable bonnet’ after its distinctive front edge that rises to a central point like the gable end of a house. 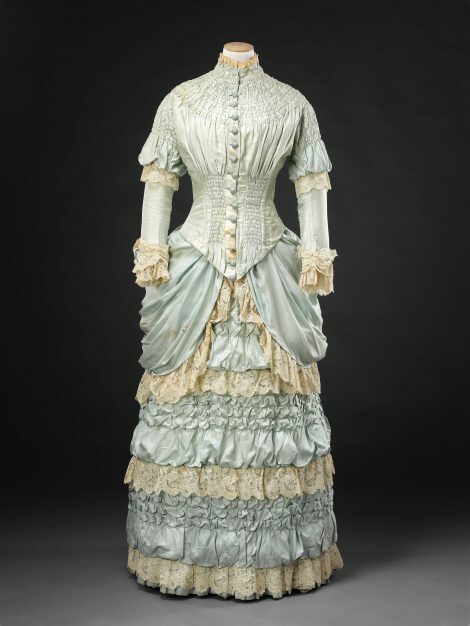 It is constructed of a coarse fancy straw braid, a material much favoured in the later decades of the 19th Century, and trimmed with lace and looped ribbon. 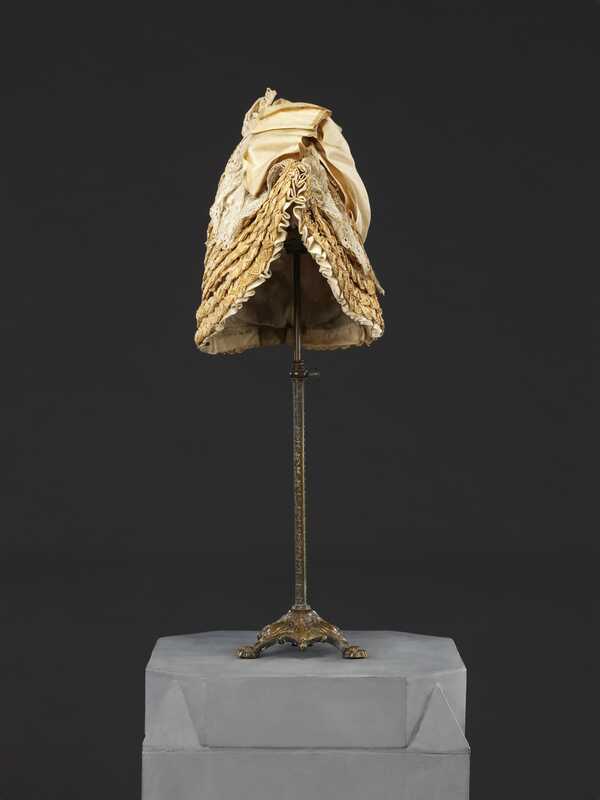 The underside of the brim framing the face is covered in ruched deep cream silk twill; similar use of a ruched pale-coloured lightweight silk twill can be seen in a contemporary dress belonging to the John Bright Collection (see Related Items), and may have been considered ‘picturesque’ or ‘artistic’.